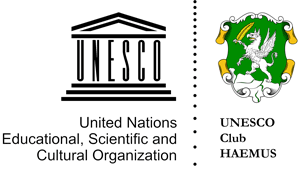 About 400 footprints were first discovered in the cave in 1965. Scientists initially attributed the impressions to a man, woman and child who lived 10,000 to 15,000 years ago. 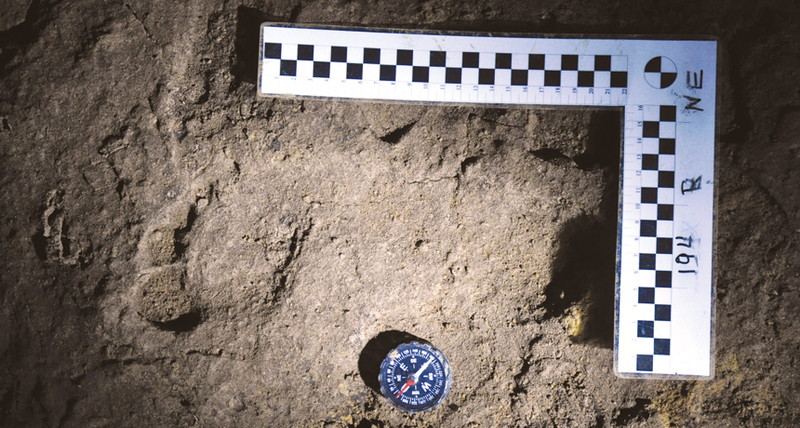 But radiocarbon measurements of two cave bear bones excavated just below the footprints now indicate that Homo sapiens made these tracks around 36,500 years ago, say anthropologist David Webb of Kutztown University in Pennsylvania and his colleagues. Analyses of 51 footprints that remain — cave explorers and tourists have destroyed the rest — indicate that six or seven individuals, including at least one child, entered the cave after a flood had coated its floor with sandy mud, the researchers report July 7 in the American Journal of Physical Anthropology. 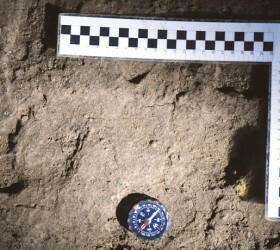 GOOD IMPRESSION Human footprints such as this, found in a Romanian cave almost 50 years ago, are much older than originally thought, dating to around 36,500 years ago, a new study finds.